Actual Size: 2'8" x 4'4"
This Oriental rug is a magnificent 2'8" x 4'4" Moroccan Kazak, circa 2000s. 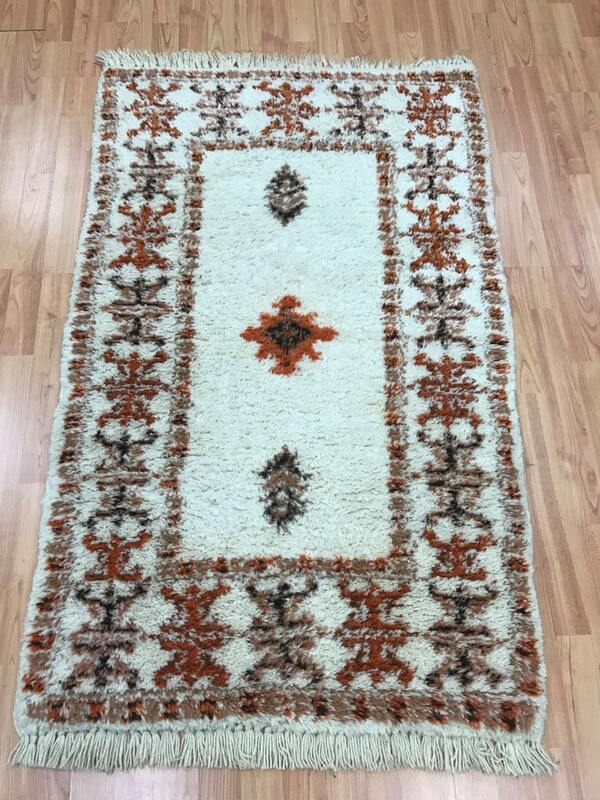 This 10 year old hand made Moroccan rug is made with 100% wool, has a high pile and is in perfect condition. 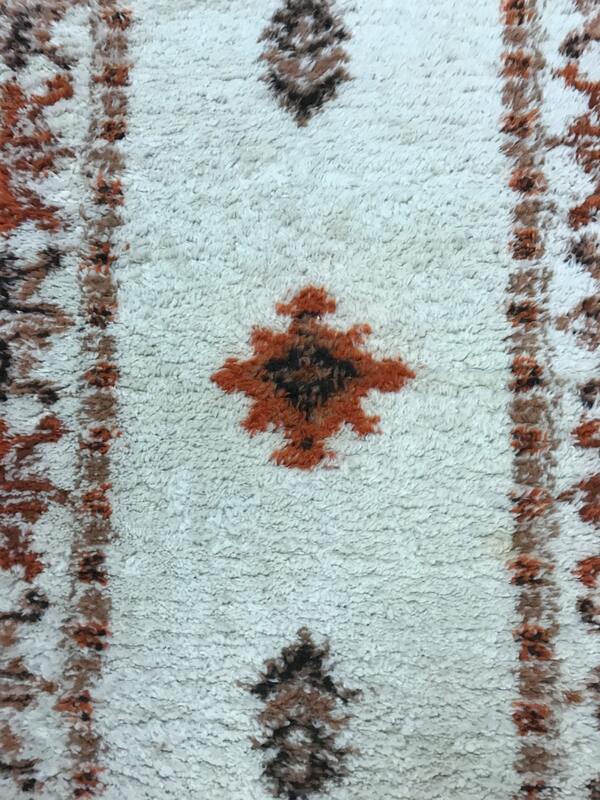 Moroccan rugs are the weaves, carpets, and textiles that have been traditionally hand-woven in Morocco. 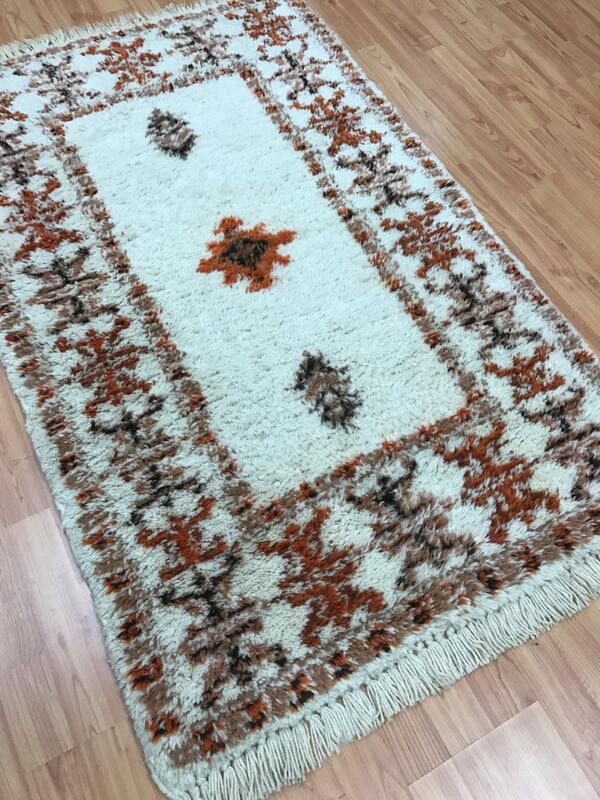 Rugs have been woven by the indigenous people of Morocco since the Paleolithic Era. 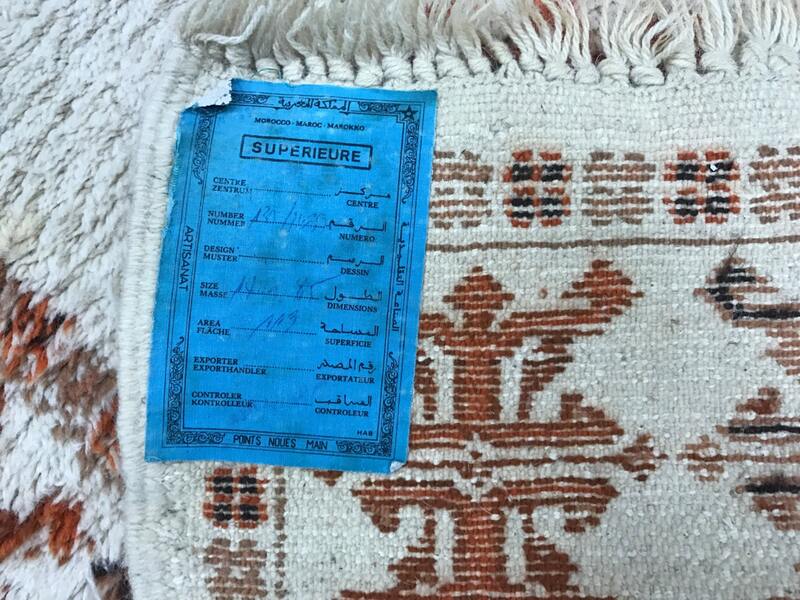 Traditionally, Moroccan rugs have been woven by tribal peoples for their utility rather than for decorative purposes. 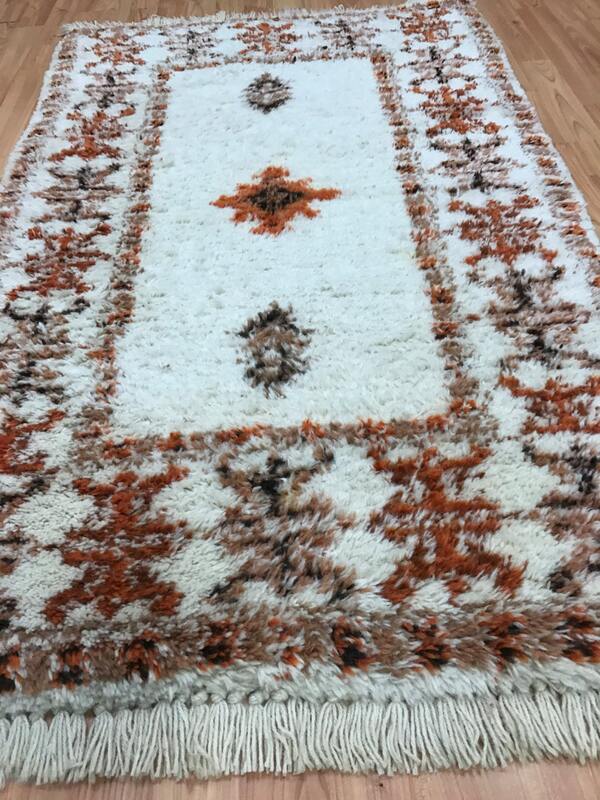 Twentieth-century Moroccan rugs are widely collected in the West, and are almost always woven by tribes people who do not seek nor possess formal artistic training.